What marketing platforms are a must for eCommerce businesses like yours and how much should you expect to budget? We’ve got all the answers in this guide to eCommerce marketing costs. It goes without saying that online advertising is an absolute must for eCommerce. 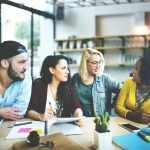 However, balancing the right platforms and navigating the proper budgets can seem a little confusing for even the most seasoned advertisers. It is easy to get swept in the wrong direction if you’re not paying attention and could spell disaster for your bottom line. Step 1: You want to take 10% of your projected annual gross revenue and multiply it by your average transaction markup. Step 2: Repeat the above calculation using 12% of your projected annual gross revenue. Step 3: Deduct your annual rent/warehousing/office expenses (cost of occupancy) from each of the totals you’ve just revealed. The totals remaining would be your minimum and maximum advertising budget. However, it’s important to remember that this is just a rough guideline and you’ll need to find a budget that works for you. And when you consider that by 2019, digital media will account for 55% of total media ad spending, it’s time to put those traditional, conservative ideas to rest. Especially when it comes to lean eCommerce businesses where occupancy costs may be irrelevant. There are a lot of alternate budgeting strategies out there, and you need to find the solution that works for you. For example, a lot of our top merchants will put much bigger budgets into marketing specific products that get the most traffic. Traffic they can then upsell with products with higher markups and/or remarket with email and Google remarketing campaigns. 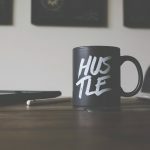 Also, you will need to consider that it will take some time to scale your business from one level to another, and you may need to put more money where your mouth is – so to speak. So without further ado, here’s the ultimate eCommerce guide to marketing costs so that you can increase eCommerce traffic and sales without hurting your bottom line. How Much Should I be Spending on Google Ads? The short answer? It depends. It depends on your niche, your brand, your available budget, your business structure, industry and, most importantly, it depends on which campaigns you’re running. Therefore there is no average CPC amount for Google Ads as a whole but we recommend that you aim to work up to a budget of $1,000+ per month for your Google Ads, starting of a minimum of $120. What you probably know at this point, though, is that an eCommerce business cannot survive without harnessing the power of Google to bring juicy eCommerce traffic to your store. Let’s begin by looking at the costs of the 3 main Google Ad types that eCommerce stores should budget for. These PPC ads, displayed above and below SERPs, are the bread and butter of your marketing strategy. Just because you are the one who sets a bid amount doesn’t mean that is what you’re going to pay. To help you determine the rough estimate on what search ads will cost you, the average CPC for Google Search Ads for 2018 in the US was $1.16. With the average internet user in North America expected to spend at least $106 per month for Search ads this year. 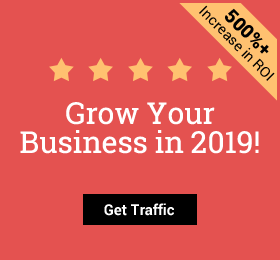 This doesn’t take into consideration the costs that would be involved with the hiring of a PPC agency or marketing agencies if you’re not using eCommerce traffic tools like Traffic Booster or running your own campaigns. Just because you could choose a CPC bid of $0.01 and a daily budget of $1, doesn’t mean you should. Why? Well, because the chances of you getting results will be slim to none. Fewer impressions and fewer clicks may keep your costs down, but what does that matter if you’re not getting conversions? In the previous quarter alone, Google Shopping clicks grew by 34%, with negative keywords playing a huge role in giving merchants more control of these types of Google campaigns. What does this mean in terms of costs, though? It means you need to stay competitive with your bids in 2019. You’re looking at about $1-$2 per click on Google shopping. 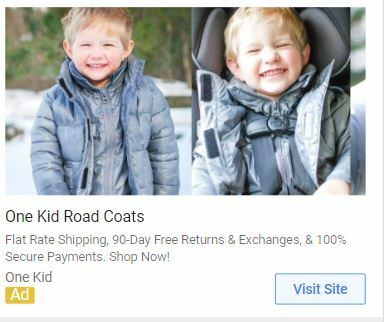 Generally, Display ads will have lower CPCs than Search, but are they effective – a lot of big, successful brands such as OneKid say so. Display is great for building and/or reinforcing brand recognition as well as remarketing, but it needs to be done correctly. Beginner’s Tip: If you’re on a very tight budget, we suggest focusing your marketing spend on Google Search first, and only expanding to Display when you have brand awareness (and design) budget in the bank. The average CPCs for Google Display ads for eCommerce was $0.45 in 2018 – based on pure advertising budget and excluding design, admin or agency fees. 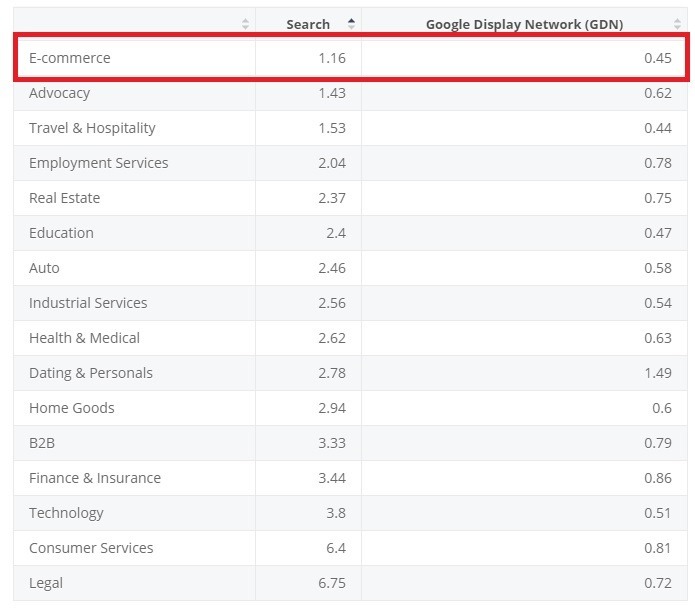 As you will see from the below stats, eCommerce enjoys a lower CPC on average for Google Ads, compared to other industries. How Much Should I be Spending on Facebook Ads? 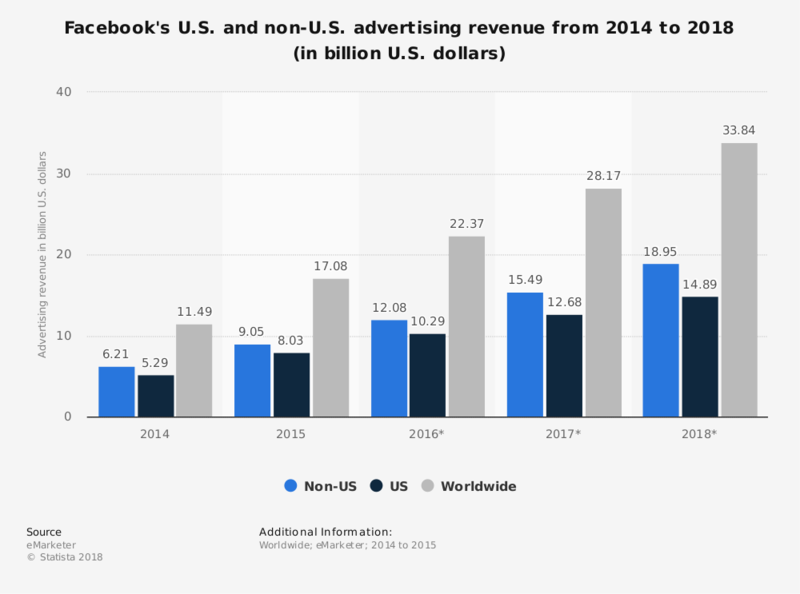 Facebook advertising revenue continues to soar, showing little interest in the few in-house problems and media scandals that popped up for the company this year. It’s no surprise, though, when you consider that Facebook ads can have lower CPC costs than other marketing platforms and when used cleverly in conjunction with Google Ads, can actually print money for eCommerce stores. Yes, conversion rates are great, but what about the costs of getting those conversions? 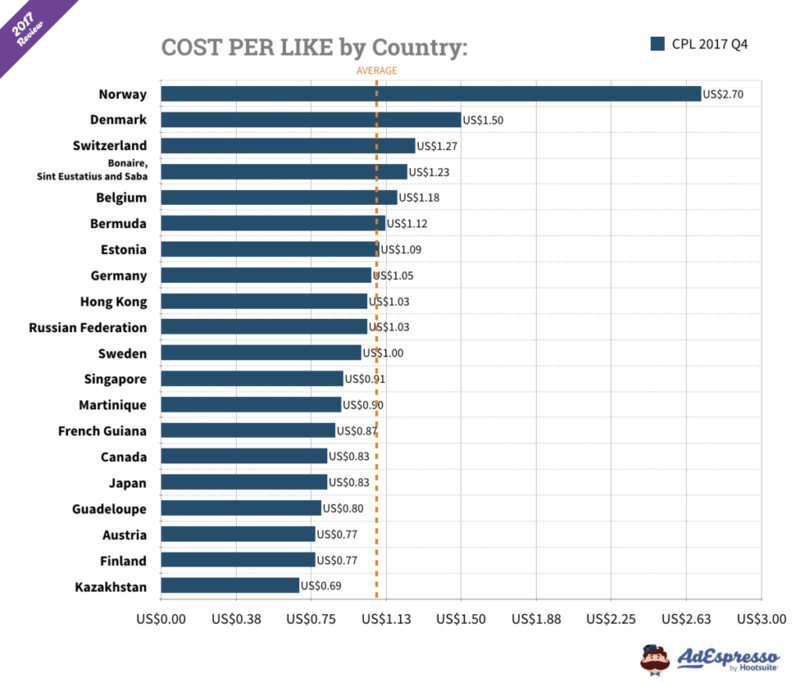 The average CPC for Facebook is around $1.86. But this will depend on a lot of factors including competition and location. Here’s a breakdown of CPCs you can expect per country from AdEspresso. Ultimately, you will want to put more budget into those winning ads, which should include Facebook remarketing and dynamic product ads. You can find guides on all the types of Facebook campaigns and traffic streams on our blog, here. 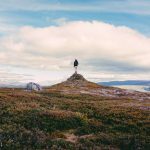 How Much Should I be Spending on Instagram Ads? 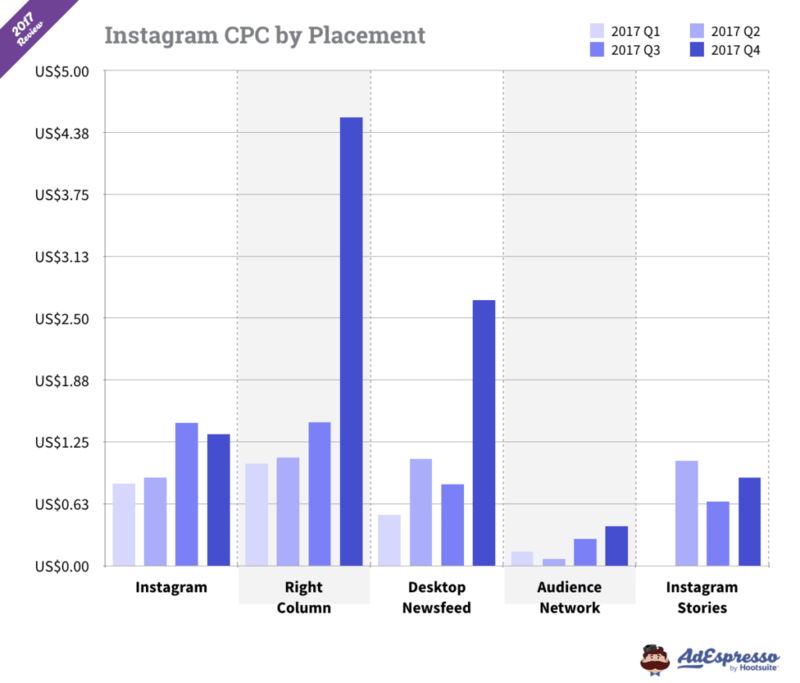 Last year, $6.8 billion was spent on Instagram ads worldwide; which is an over 50% increase from 2017’s $3.64 billion spent on the platform. 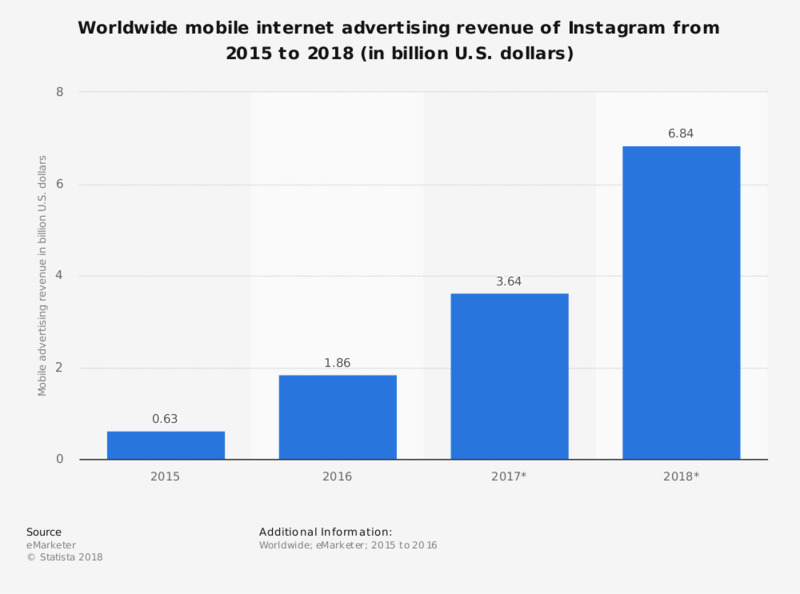 With the increase in revenue comes the increase in competition – which means needing to increase your Instagram marketing costs to line up with the average. According to Influencer Marketing Hub, you could pay anywhere from 20 cents to $2 per click. Again, this is just based on actual advertising spend on the platform and doesn’t include external expenses such as content creators or Instagram influencer marketing costs. But as we’ve discussed, there is a lot to consider when deciding how much you should spend on Instagram. Not only with CPCs vary on things like placement, but you will also need to look at higher CPCs that are bringing in the sales as you may find that higher cost could also mean higher reward. How Much Should I be Spending on Email Marketing? Last, but most certainly not least, no eCommerce marketing strategy would be complete without a solid email marketing funnel. Generally, email marketing campaigns have the highest ROIs of any other online marketing channel, with single email campaigns bringing in $50k in gross profit. So how much should you spend on email marketing? Whatever you can afford! That shouldn’t scare you because in truth, you are already spending on your email marketing. 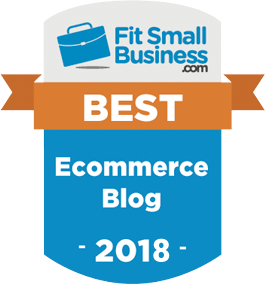 Your store homepage pop-ups and checkouts that collect email addresses, and all the Facebook, Google Ads and Instagram advertising that result in additions to your converted shoppers’ lists, all help your email marketing success. And of course, you’ve already invested in a good email marketing platform. Here’s a list of email marketing costs to consider if you’re running your campaigns yourself and not using an agency. But bear in mind that each platform will offer different features and functionality so choosing between them shouldn’t be based on budget alone. You want to select a platform that will be able to grow with your business. A good copywriter – someone to draft converting eCommerce emails – can make all the difference in ensuring your emails convert. Freelance email writers’ costs will vary depending on the type of email, their location and whether they charge per hour, per project or by retainer. But you’re looking at an average of $100 per email. With most platforms, eCommerce store owners can handle their own basic email design easily without needing a designer. Tools like MailChimp, Knowtify or Stampready have built-in, responsive email templates. However, as you grow, you may want to consider including some unique formats or delegate some of the design responsibilities. 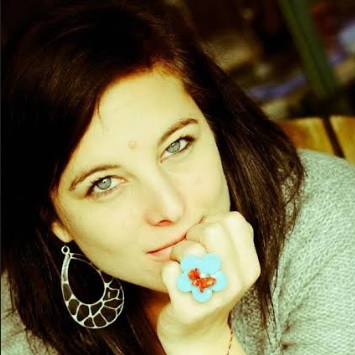 A good freelance designer can cost anything from $20 to $150 per hour. The last email marketing must-have budget item to consider is specific apps designed to streamline or improve your email marketing. Tools such as Kickbox and NeverBounce will help you identify and remove faulty email addresses and inactive subscribers (ensuring you not paying for unnecessary subscribers). Or Coupon Pop, which enables you to turn eCommerce traffic into email contacts and/or social followers. Here’s the thing to remember when planning for eCommerce marketing costs that the above estimate doesn’t account for. You can spend less on a campaign and get no results. Or you can spend more on a campaign and rake in the sales. Yes, you’re spending more in the second scenario, but in the former, you may be spending less but you’re basically just throwing money away. Plus, you could have a low CPC and a high impression rate but not be converting because of poor remarketing strategies or bad shop UX. There are a bunch of factors that go into advertising spend, and return on that spend, that are not related to marketing costs at all. In fact, it’s less about budget and more about what you’re willing to pay for high-performing marketing campaigns and how to optimize to make sure you’re not spending at all on ads that just don’t bring you that eCommerce traffic. However, knowing the average marketing costs for your niche will help give you an industry benchmark that you can compare yourself to. How Much Can a Typical eCommerce Businesses Expect to Spend on PPC? Have questions on how you can optimize your ads to keep costs down and results up? 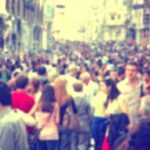 Check out our eCommerce traffic tool for Google Ads, Facebook and more. This entry was posted in eCommerce Tools and tagged Driving traffic to online store, eCommerce, eCommerce marketing, eCommerce PPC, eCommerce products, eCommerce traffic, Facebook collection ads, Facebook PPC, google ads, online store traffic, PPC, traffic ads. Bookmark the permalink.